Translation: Chihiro Miyazaki to be connected with both the international and local cutting edge artistic movements. On December 2010 someone just take the chance and didn’t let us miss the space. Juanjo decided to open a bookstore and art space. 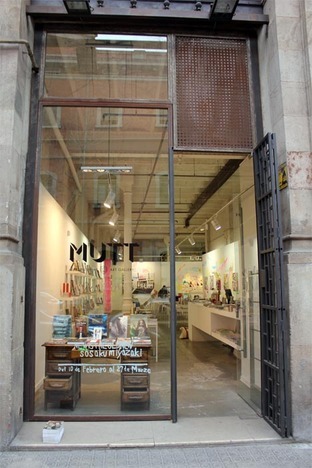 Now Mutt Bookshop & Art Gallery is located at the same place where Iguapop was formally located, and this place is just once of the best spots in town. There was a bit of a risk trying to relaunch this space with a new face, but the amount of people that packed the opening of the 1st Mutt exhibition speaks by it self. The new owner of the space is the restless Juanjo Fernández. I say so, because I am always walking by all local bookstores and Juanjo was working in two of the most interesting ones. That was before because right now he just take the bull by the horns and jump to open his own bookstore. In Mutt you can find all the most radical and exclusive titles in art, architecture, magazines, fashion, street art and illustration.The bookstore is having a sharp edge and you can find some of the best artist monograph like Chris Johanson by Alleged Press, Ed Templeton, Martin Margiela catalog, and many especial editions. 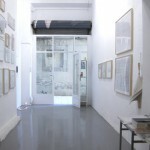 The art space is also in shape with solo exhibitions and list of exciting upcoming shows.